One thing I noticed is the Age Gap. So from age 24 to 50, that’s more than 25 years! Your income only doubles in 25 years, and you’re not starting out with a lot. So you’re starting out with $27,000, you end up at $50,000 after more than 25 years, only if you hold one job for such a long period of time! However, if you’re entrepreneurial, that could be different. There are so many ways you can generate a massive amount of income. My Merchant Cash Advance Training program will help you achieve just that. The reason I started out with those statistics is because I wanted to put things in perspective. If you have a job right now and if you think that in 10-15 years it’s going to give you the lifestyle that you want, this video can be a wake-up call for you. There are jobs, and there are positions that pay you really, really well, but they ask you to give your life away working 50, 60, or 70 hours. How do I know that? Well, I’ve done that for many many years. I’ve climbed the corporate ladder, and at some point, my annual income was $157,000. I quit the job at that point and started my own business. 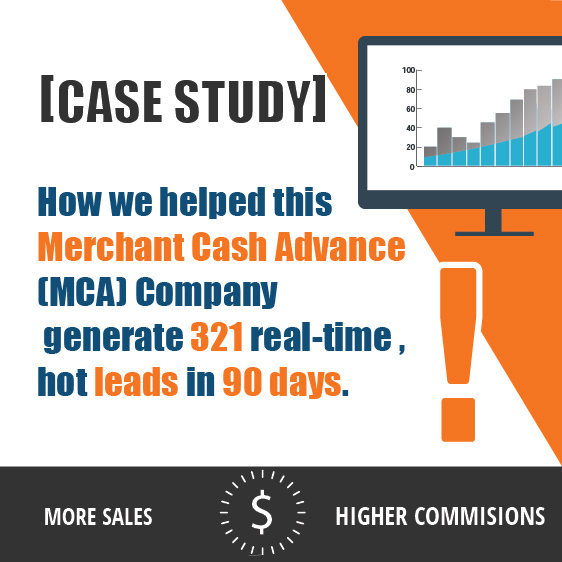 Why do I think that Merchant Cash Advance is one of the best opportunities of our time? You might be wondering what this has to do with anything. Well, I’m the founder of a marketing agency based in New York, and a ton of entrepreneurial people reach out to us every single day who see the rat race and find that they don’t want to be a part of that. They’re looking for business opportunities to make additional income. I’m not the expert on all business opportunities out there, that’s not my claim. However, I am the expert on one business model, so I just wanted to share with you what I know works. Which is why I have put together my very own Merchant Cash Advance Training on how to sell merchant cash advance. Usually, the common theme from people that I hear is that they see things online, they get excited by someone who’s creating an online business, they get their money taken by them, and nothing happens. Alternatively, they get involved with a multi-level marketing company who asked them to sell stuff to their family members, friends, and all that stuff to make money off of them. I’m not going to talk about any of that. I’m talking about a real business that our clients generate cash in and that’s by being a broker to help small businesses to get a loan. The reason I mentioned the annual salary earlier is because I wanted to highlight how much effort it really takes to go beyond that salary. As an entrepreneur, I have found that it takes way less amount of hours, years and overall time when compared to the amount of hours you’re going to put in working for someone else. So naturally, if you love your job, you can stop watching right now. But if you’re the entrepreneurial type, and you’re looking for ways to leverage yourself, and your time, you’ll find that the Merchant Cash Advance training that I have put together will lead you towards creating a lifestyle business where you are in complete control of what happens day to day. So you need to have a reason that you’re watching this. You’re looking for an opportunity. I didn’t create this opportunity. All right! Are you ready to hear me out after this long intro? The great thing about Merchant Cash Advance is that it doesn’t require you to be licensed or certified. You become a broker. You help businesses get a loan, and the best part about this business model is that you’re not providing loans, so you’re not taking the risk. There are already a ton of companies who want to give loans out to small businesses, all you have to do is find the businesses who are in need of a loan, (who doesn’t need one, right?). All businesses want money. Moreover, you match it to the company that can provide it to them real fast. In your mind you might be thinking “Why would I do that?” “Why wouldn’t they go to their bank and get a loan instead?” Well, 2/3 of bank applications are declined, especially after what happened in 2008, the Great Recession that we had after the real estate bubble burst. Banks do not want to take risks, and honestly, they don’t really make much money by selling these type of loans. Their process is super long for small businesses. Small businesses such as mom-and-pop shops can’t wait six weeks to see if they qualify for a bank loan. It’s just not realistic. What small businesses need is an immediate answer, and this merchant cash advance system allows you to provide that answer. Hence you become a merchant cash advance broker. In a Merchant Cash Advance transaction, you are basically offering business owners loans against the future sales of their business, and you’re making a commission for that. So I’m not going to go through the entire business model, but will provide the bullet points of why this model is a super attractive. Again, this is not the only one, there are many business models out there, but if you’re okay with talking to people, if you’re genuinely interested in helping small businesses, this Merchant Cash Advance training is an excellent opportunity for you to consider. 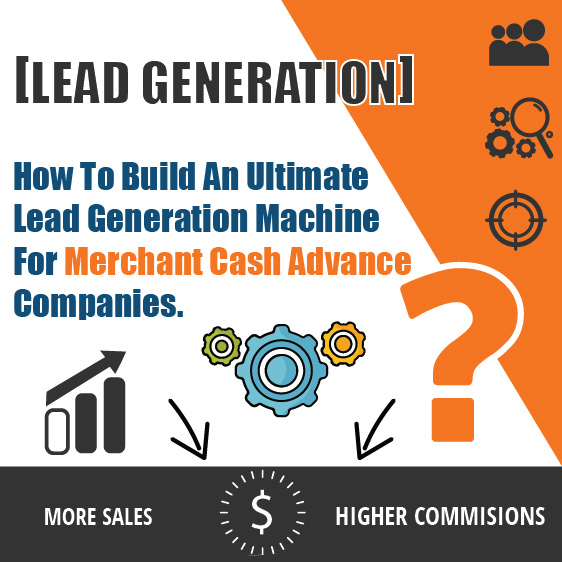 You will learn everything you need to know about merchant cash advance lead generation. Can you Make Money by Selling Merchant Cash Advance? So this is a great opportunity because the commission generated from each sale is massive. The average commission is 2 to 4 thousands dollars per deal on average. So when you look at it that way, even if you get one deal a month, you will find that it is usually more than what you’ll be making annually at a job where you spend 40 – 50 hours of your time. That is pre-tax. Even if you’re getting paid $30,000 a year, after the government takes its tax, you’re down to like $25,000 or so. When you own a business, you can write-off a lot of things as a business owner in tax statements, in this case you take the tax laws on your side as opposed to just being an employee. So that’s why this business opportunity is solid. Even with one or two deals a month, you can make an outstanding amount of money, and even if you have a job right now that’s paying you 40 or 50 thousand dollars within a matter of 30, 60 to 90 days, you can literally replace your existing income and do this full-time if you want to, or you can make a lifestyle business out of it. What is the Merchant Cash Advance Training Like? The next question is, “Yeah, Oz that’s great. I can make 2 or 3 thousand dollars per deal. However, how long does it take? What is the sales process?”. Well, one of the other amazing things that makes this a great business model, is that the sales cycle is really short. You can help a business get money in their bank account within 48 to 72 hours. Okay, so that means that you’ll earn your commision from the beginning of the conversation until the time they get paid. That’s like a week. You can also make a lot of Commission based sales in other industries, for example, real estate is one of them. However, how long can this sales cycle be? It could be anywhere from 3 to 6 months, sometimes a year before you get your first deal. Until then you’re just going to show homes here and there, drive to trainings, and if you’re dealing with a first-time home buyer, you’ll find that they don’t want to look at 50 homes before they make a decision. You may spend a lot of time on then and eventually find out that they don’t even qualify. However, this business can be home-based. You won’t have to go knocking on doors or anything like that. You can do it from your home by using your computer, and your phone. Simply talk to businesses, qualify them, and only hand it off to the company that does the lending itself. You’ll then make your commission. That’s why when I look at businesses, one of the attractive things that I search for is the total amount of the up-front cost, how long it takes to get it ramped up, get it up, running and making money? Also, what is the upside potential? The upside potential is that a considerable demand is significant, I don’t think I need to convince you. I know the demand, more than 70% of small businesses cannot get a loan. They really can’t! Can you run this part-time and still make great income? Another thing is, can you run this part-time ? Because the last thing you want to do is burn all your bridges and drop what you’re doing, to only focus on this and stretch yourself out. Commitment is important, but at the same time, you want to diversify your income. So if you have a job, keep that, but you can share this Merchant Cash Advance Training opportunity. For those who might not be familiar with this industry, I suggest you take a peek and check it out to see if this is something worth your time. 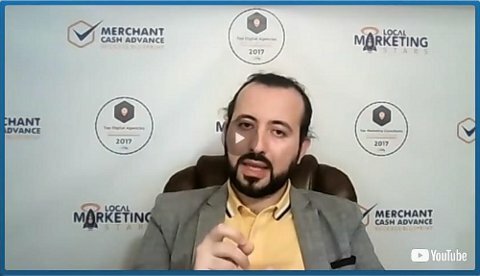 You must find out if this is something that you want to take advantage of because this market is wide open right now, especially since banks are not giving out loans as much or as easy as they used to, they are actually nowhere near what they used to be. Two-thirds of loan applications are declined every single day. That’s just bad news for business owners. So now you have an opportunity where you can present them with money in their bank account and show them that you can do it as fast as possible. They make money, you make money, the lender makes money, everyone is happy, then they become a repeat customer. Meaning that there is potential for a recurring revenue opportunity. All of which is thoroughly explained in the Merchant Cash Advance Training. Do you want to learn more about how to be a Merchant Cash Advance Broker? There are many details about this business. I don’t want to turn this into an hour recording, but for those of you who are interested, I literally have a one-hour Merchant Cash Advance training. This includes the pitfalls to watch out for, how one really makes money, how it works, what systems you may need. You’ll learn if you really need to spend much money to run this, and how to succeed. It’s completely free. 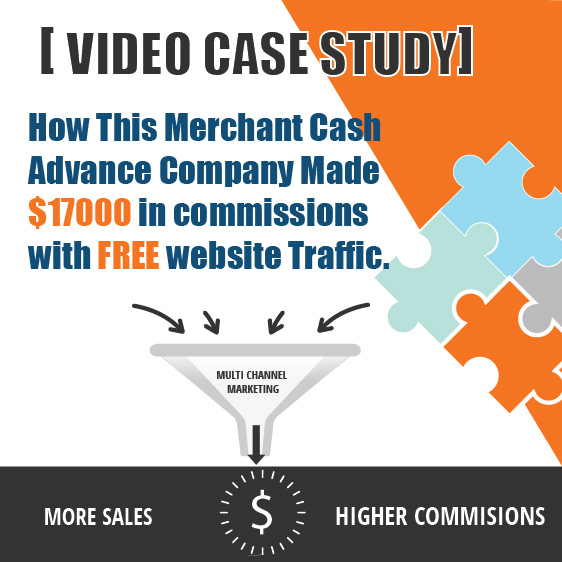 When you click on the link, you’ll be able to watch an hour-long webinar on this Merchant Cash Advance Training. If you’re interested and if I have peaked your interest, I highly suggest you check that out, and at the end, you’ll have a chance to schedule a call with me and ask additional questions if you need to. All right! I hope to see you soon; I hope you enjoy this article and video.